A rush of pain running through my body woke me up. I tried to scream, but I had no air in my lungs to create even as much as a whine. I took a deep breath and felt how every cell in my body wanted to flee from whatever was happening. All that happened was that I realized I had a dry cloth in my mouth, obviously there to keep me quiet. Where the hell was I? I tried to stand up, but I only felt how a crude rope dug itself deep into my skin. I couldn't even move my head to get a better look around the room in the dark. All I could see was the cold stone ceiling above me and something that seemed like a light bulb. How the hell did I get here? The light went on above me with a flash and the sudden light hurt like hell in my sore eyes. Had I been crying? Why? My whole body was aching as if somebody had been beating me for days. I probably had bruises all over my body also. What had happened? I could hear steps approaching me. High-heels. The sound of bullets flying over my head had been going on non-stop for hours now. There was no way of telling which of them were aimed at you and which at the enemy. I took a deep breath, prayed that my hands would stop shaking and sprinted for the next cover. I wasn't the only one who had aimed for the great stone that stood up from the otherwise treacherous grass field. The man next to me was covered in blood and dirt. His breath was heavy and unstable. A specialist, judging by his insignia. I didn't know if I felt jealous or saddened when I looked at it. - War is hell they say, he said with a clear and stable voice. I guess they knew what they were talking about. A missile flew over our heads and hit one of our tanks that stood on top a small hill. I could hear cries of agony take over the comm. , covering the sound of orders that were being shouted out. I knew no one in that tank. - Come on, do you really have to go that close the edge? I said with a nervous giggle. It's a really long way down. I had looked over that cliff edge once. The view was amazing. An emerald green forest stretched as far you could see, flocks of colorfull birds flew around the treetops and a river as blue as the sky above ran through it like a snake basking in the sunlight. A gentle summer breeze gently stroked my cheek. It played around with her hair, lightly tugging it this way then the other. I would never grow tired of that sight. She gave me one of her warm and gentle smiles and took a few steps away from the edge. I let out a sigh of relief and held out my hand. She let her hand gently touch mine, but before I could pull her close to me she turned around, took a few running steps and jumped off the cliff. I froze in my step and I thought my heart would stop beating. As I snapped back to reality I shouted out her name and ran as close to the edge that I dared. Jag kände hur hjärtat slog i vild panik i bröstet när jag sprang genom rader av gravstenar. Jag hade för länge sedan tappat bort mig bland alla stenkors och mausoleum, men jag vågade inte heller stanna för att försöka hitta en väg ut. Allt jag kunde göra var att springa i hopp om att ett mirakel skulle ske. Någonstans inombords visste jag redan hur mitt öde skulle se ut innan jag snubblade. Gruset från gången sprätte åt alla håll kring mig och jag landade illa på armen. Tårarna rann ner för mina kinder när jag såg hur skuggan långsamt närmade sig i mörkret. Igen kände jag hur huvudvärken började krypa in på mig, hur smärtan ökade för varje steg den kom närmare mig. Det kändes som om huvudet skulle explodera. Nej... Jag önskade att det skulle explodera så allt detta skulle vara över. Why do they both feel the same? Who want's to be like that? Who want's to be so heartless? "I think I love him"
I can't breathe, why can't I breathe? Eller är det bara hennes känslor? Why did that feeling return again? How could it still be so strong? Why can't reason make it go away? Is my heart really this cruel? Am I really that weak? Why can't the summer last forever? A Fenno-Swedish blogger, student and hobby writer. I played around with my makeup a while ago and tested out some Mirialan style/inspired makeup. I'm pretty happy about the result as well and need to re-do this at some point with a more intricate design... My skin color has been edited in post with the help of one of my friends. I'm still wondering if I should try to reignite my inspiration for cosplay since I have quite a few projects that are just laying around waiting in my cupboard. I finally decided to commit and create an OC for MLP! I have been playing with the idea for a while but couldn't decide on what exactly I wanted to do. Going with an Alicorn feels a bit cheesy and over powered, but they are absolutely my favorites! If I made a more "realistic" version I would keep her as a unicorn though. This is also pretty much my first OC for any kind of already existing franchise so I'm both hyped and nervous about what I will do with this! 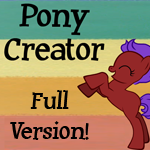 This is made with generalzoi's Pony Creator. I don't have a Cutie Mark file however so I had to skip that... but I would have maybe a quill and/or a d20? In case anyone knows where to make one (I'm not great at drawing myself) please do tell me! I have finally revived this dA account! Wow, it's been a while. I haven't written anything in a while and damn am I jealous of my past self's writing skills. I need to start writing and reading again, so I figured I would do some CPR to this old account. No idea yet about what I'll be posting or when... but I do have a pretty serious Catradora phase going on. So might be that I finally dip my toes into fanfic territory! I'm more active on my IG (@alikai.wonderland) and blog (alikaiwonderland.com) in case you want more regular content from my direction. I'll have to see if I get to pick up a bit of photography at some point as well when I get my paws on a proper camera... *sigh* so many ideas, so little time.